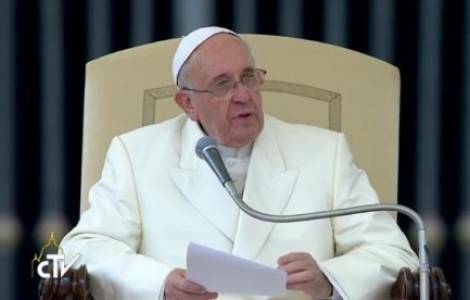 Vatican City (Agenzia Fides) - The new Apostolic Exhortation of Pope Francis "Gaudete et exultate" on the "call to holiness in the contemporary world" was presented today at the Vatican. It is a document in five chapters and 177 paragraphs that invites to be saints today. Holiness - says the Pope - is not a call for the few but is a way for everyone, to live in everyday life: "The Lord asks for everything, and what he offers is true life, happiness. He wants us to be saints and does not expect us to settle for a mediocre, watered down, inconsistent existence", writes Francis. Below is a reflection, by Gianni Valente, Agenzia Fides journalist, who presented the Exhortation in the Vatican Press Office, commenting on the central part of the document.